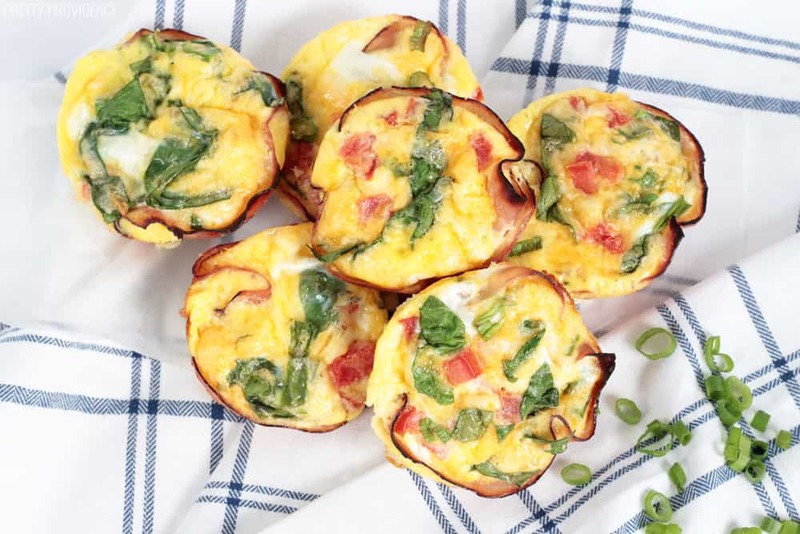 You guys, I’m excited to share this healthy breakfast egg muffin recipe today. It’s been one of my go-to’s for a while now. It’s a delicious and healthy breakfast that will fill you up. Bonus? It’s freezer-friendly, so you cook once but get multiple meals out of it! For some reason I think these are so much fun to make. 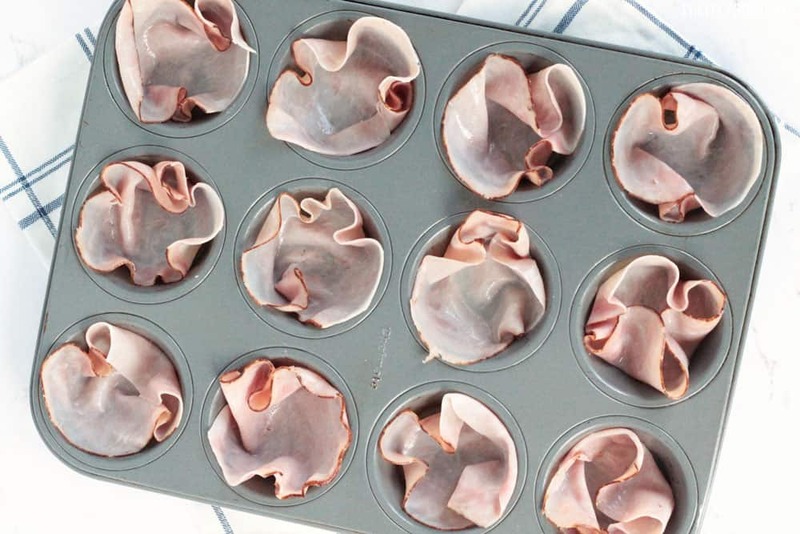 Look at those pretty ham cups! Scooping the egg mixture in is fun too. I love all the color the veggies give – doesn’t color just scream “HEALTHY!”? 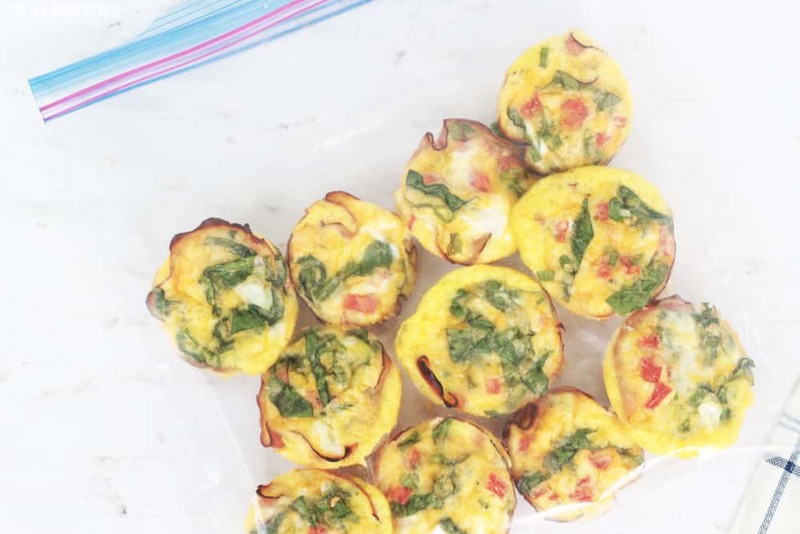 A few weeks ago I had a burst of energy and decided to do some freezer cooking, so I went and bought what I needed for these egg muffins so I could make a double-batch to keep in the freezer. 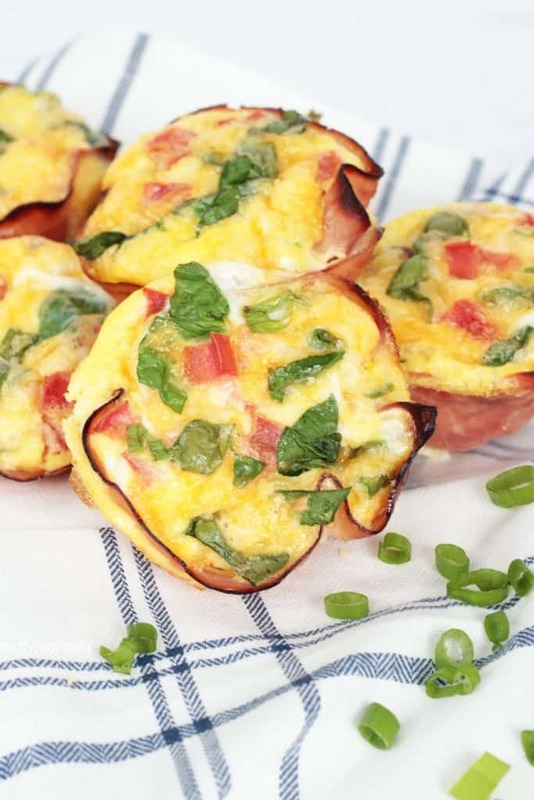 Healthy breakfast egg muffins are an easy low-carb breakfast, full of veggies. The perfect make-ahead breakfast for busy mornings! Preheat oven to 350 degrees and spray muffin tin with cooking spray. Line each cup with one slice of ham. Combine all other ingredients well, in a large bowl. Scoop 1/4 cup of the egg mixture into each ham cup. Remove and serve warm or let them cool completely & freeze them for mornings on the go! Yum! I love to enjoy these right out of the oven but they are just as good after being frozen or refrigerated. 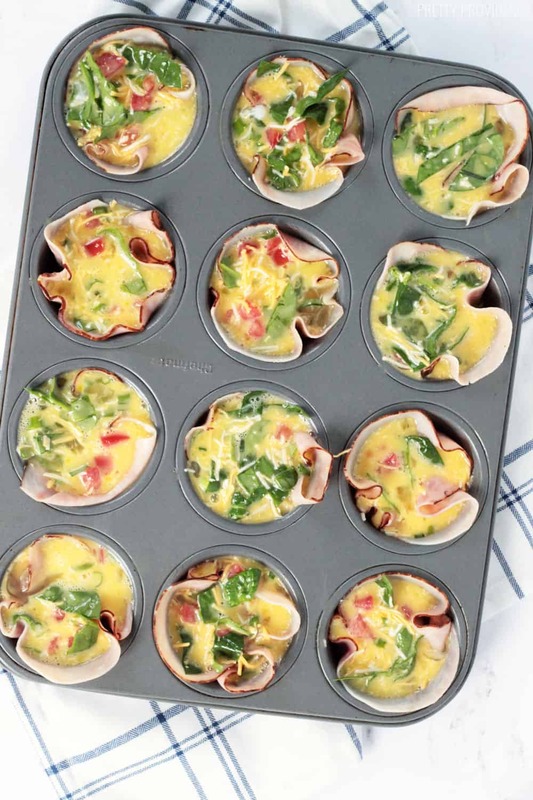 Let the egg cups cool completely and remove from muffin tin. 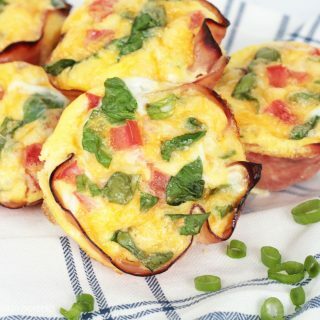 Place breakfast cups in a gallon-sized plastic bag and freeze. When you pull them out, microwave for 30 seconds to a minute and enjoy! These will stay good in the freezer for up to three months.